Garth Crooks has praised Alexandre Lacazette for his “superb goal” in Arsenal’s 2-0 win over Everton at The Emirates on Sunday afternoon. The France international started alongside club record signing Pierre-Emerick Aubameyang in the Arsenal team for the visit of the Toffees. 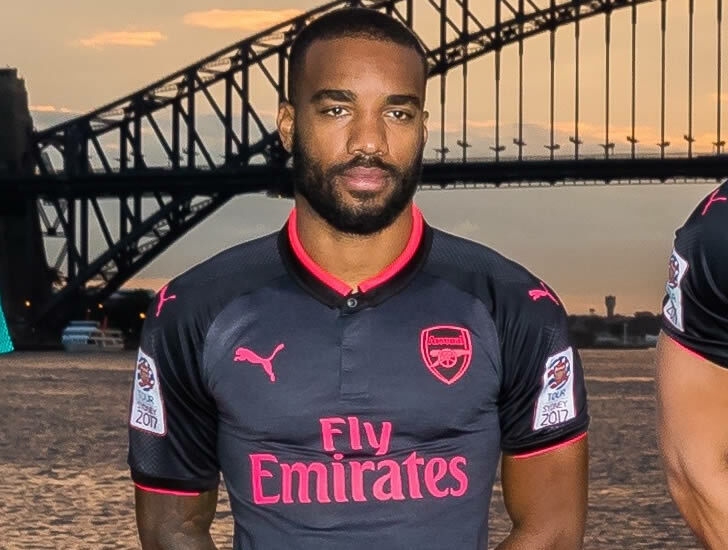 Lacazette broke the deadlock in the 56th minute after Aaron Ramsey teed up the former Lyon striker in the second half in north London. The Arsenal striker has scored two goals and has made one assist in six appearances in the Premier League in the current campaign. His strike partner Aubameyang doubled the home side’s lead three minutes later to secure three points for the north London side in a 2-0 win. Former Spurs forward Crooks heaped praise on Lacazette for his brilliant goal in Arsenal’s fourth successive win in all competitions. “In the end, one goal was enough to win the game against Everton, and when you score a superb goal like Alexandre Lacazette’s one for Arsenal, you are entitled to celebrate,” Crooks told BBC Sport. Arsenal are in sixth place in the Premier League table and two points ahead of bitter rivals Manchester United in the race to secure a top-four spot. The Gunners will take on fourth-placed Watford in their next Premier League fixture on Saturday as Unai Emery’s men look to hoist themselves back into the top four.